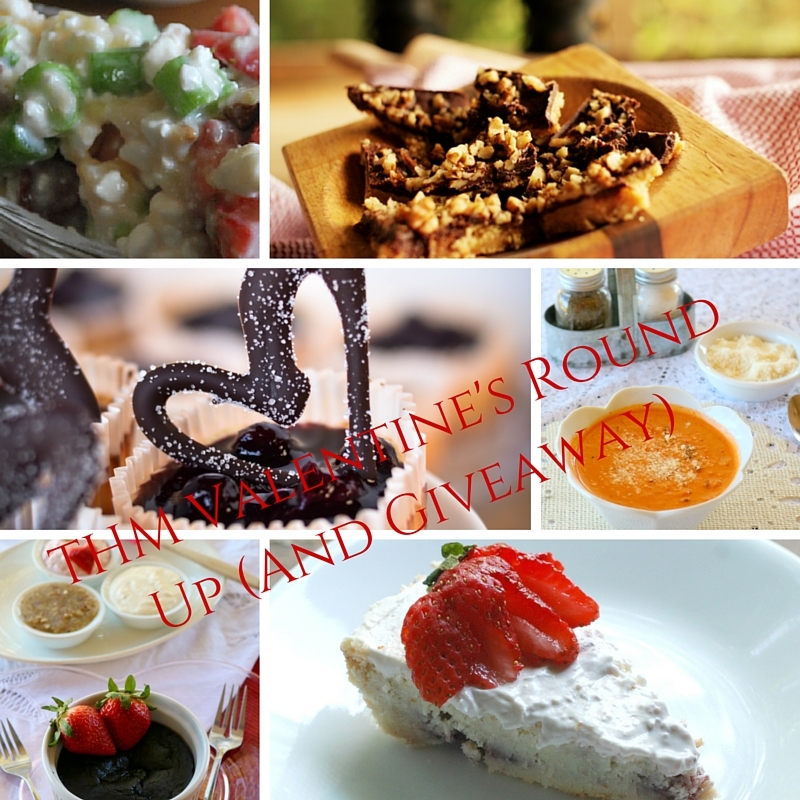 THM Valentine’s Round Up & Giveaway!! I’m so excited about this February 2016!! Why? well, it’s my birthday month, it’s Valentine’s & our baby will be born! 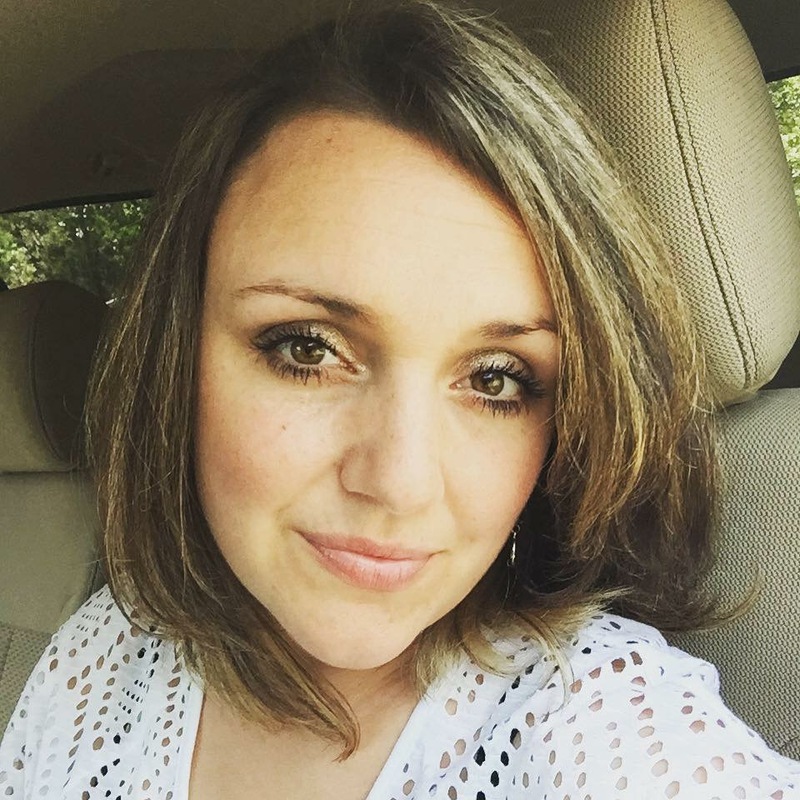 I’m so excited to also be a Trim Healthy NURSING Mama instead of a Pregnant one! 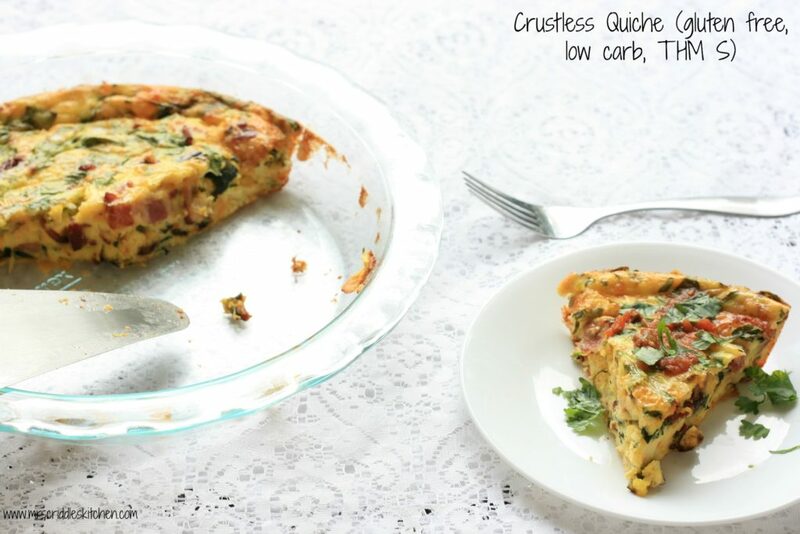 But enough about that… I wanted to start this post off with a round up of lovely meals that would be perfect for you and your love to enjoy during this Month of LOVE or (if you are like my husband and I who prefer to stay home on Valentine’s) enjoy this Valentine’s Day! A great collections that is totally THM! 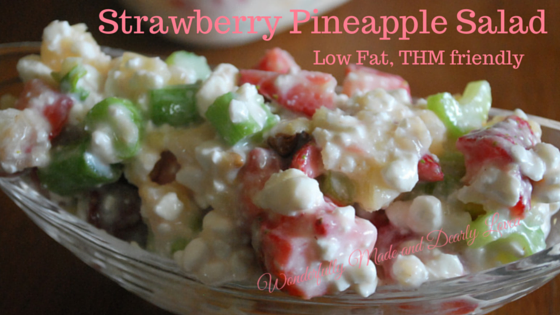 Also, be sure to check out the Trim Healthy Mama Cookbook for other ideas. My husband and I will probably go the steak route. 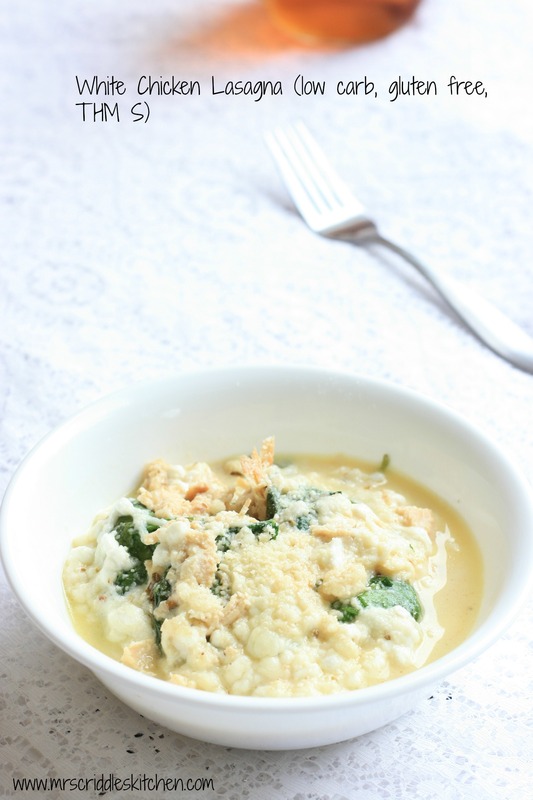 That is our favorite favorite (THM) date meal! We actually cook it right in our skillet and it is one of the best steaks always. Be sure to buy a good quality steak, season well with simply salt, garlic powder & pepper, sear in a skillet with red palm oil, butter, or olive oil. Once you remove it from the heat DO NOT CUT into it… allow it to rest for 5 minutes. Add a tab of salted butter & a few sprinkles of blue cheese to the top. You can also top with sautéed mushrooms & onions. PERFECTION! We serve with a salad & another sautéed veggie. THIS would be our date dinner. 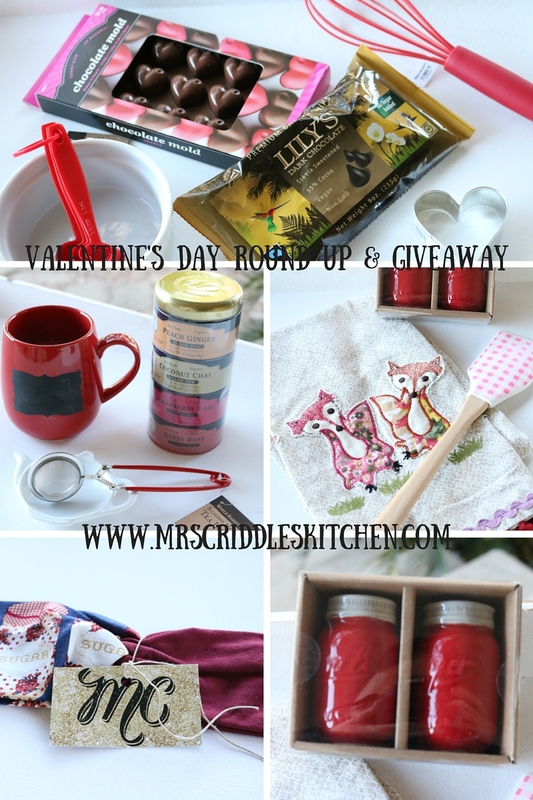 *Ok now that you have chosen your Valentine’s Day meals here is a FUN giveaway! This is a JUST BECAUSE giveaway. Hey it’s my birthday month so why not! 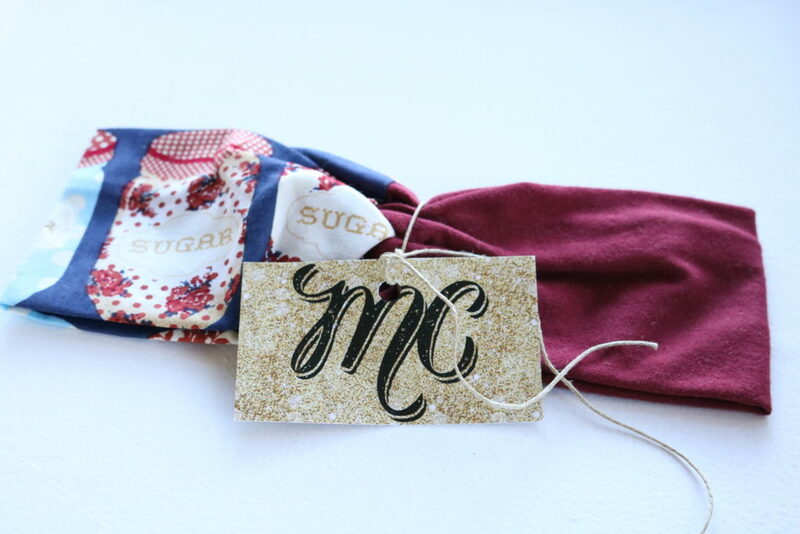 I LOVE these things & would love to bless one of you ladies with some fun things to enjoy! I’m am sad to say this is ONLY for my USA friends… please don’t be hating on me. Shipping is a big expense. **Each one of these fun items were picked out by me! I hope you enjoy! Here are photos of exactly what you will be getting. After the pictures will be a Rafflecopter Enter Section. It works best if you enter through your desktop. It is possible to enter through your smartphone but not the best way. 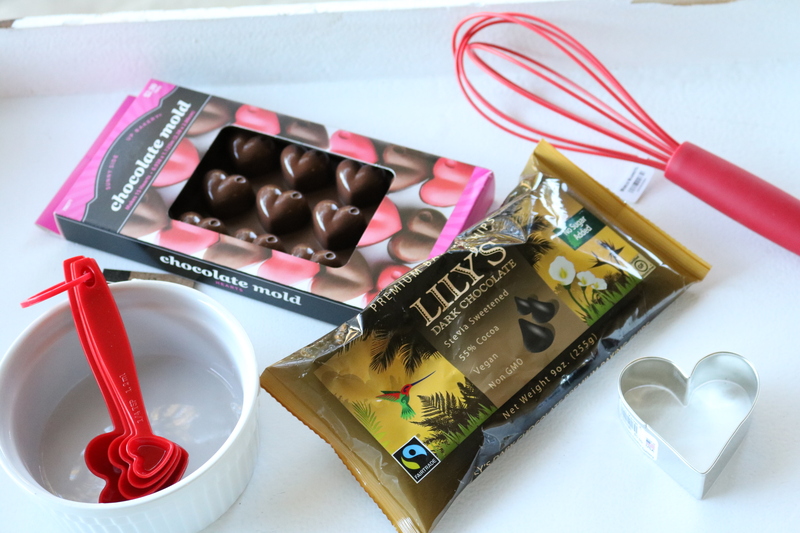 Below you will see a pink whisk, a heart-shaped cookie cutter (or skinny chocolate cutter), a ramekin which is the perfect size for TWO, (skinny) chocolate heart mold, a heart-shaped measuring spoon set, AND LILY’S Dark Chocolate Chips!! Lily’s is my FAVORITE chocolate ever! 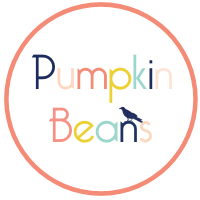 It’s sweetened with Stevia so no crazy sugar rush! I’m excited for y’all to try it! 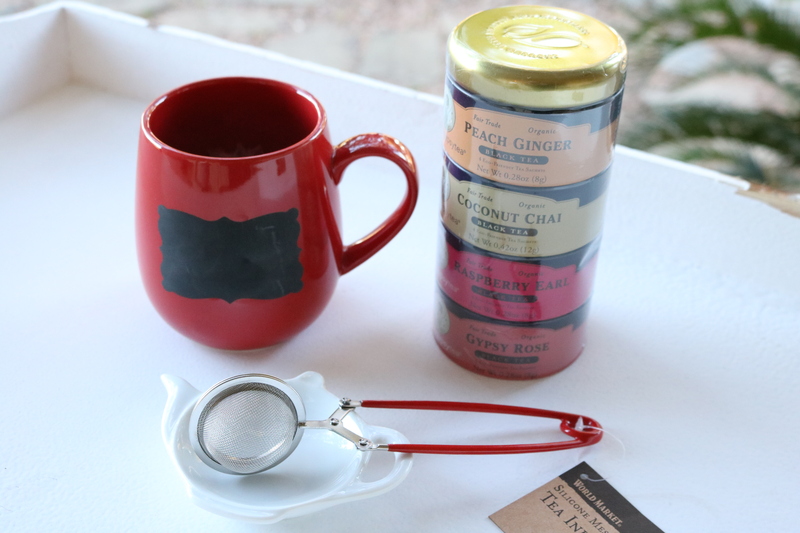 Next we have a tea mug with chalk, tea, a spoon rest, and a tea infuser! How cute is this! Hope you enjoy this! 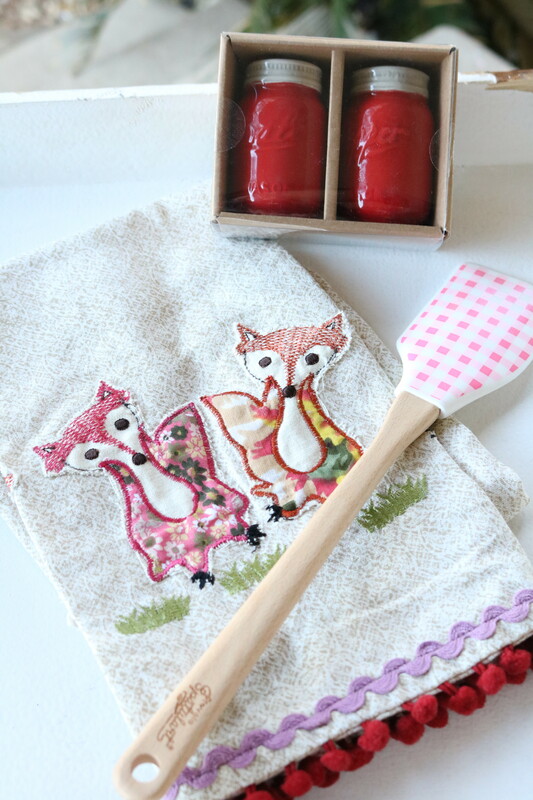 This was just too cute to pass up… I love the little Foxes Dish Towel! 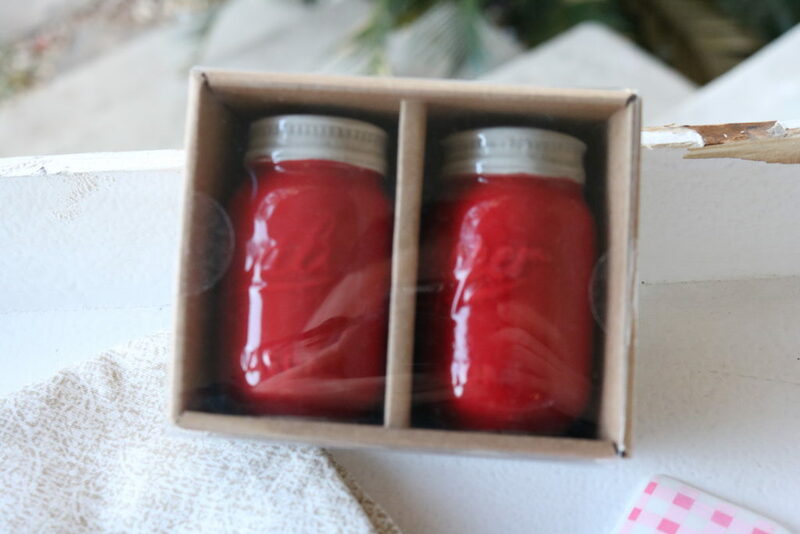 The Mason Jar Salt & Pepper shakers are adorable!! And a fun Spatula too! U are going to bring that blessing into the world on 2/14/16! The day that shows how much you love your man… And my bday! I think you’ll have a Valentine’s Baby!! Wouldn’t that be an awesome birthday?! I think your precious little one will be born on the 12th exactly. She would share Abraham Lincoln’s birthday. That is cool! Sorry to say, but the 21st! I love, love, love your site! 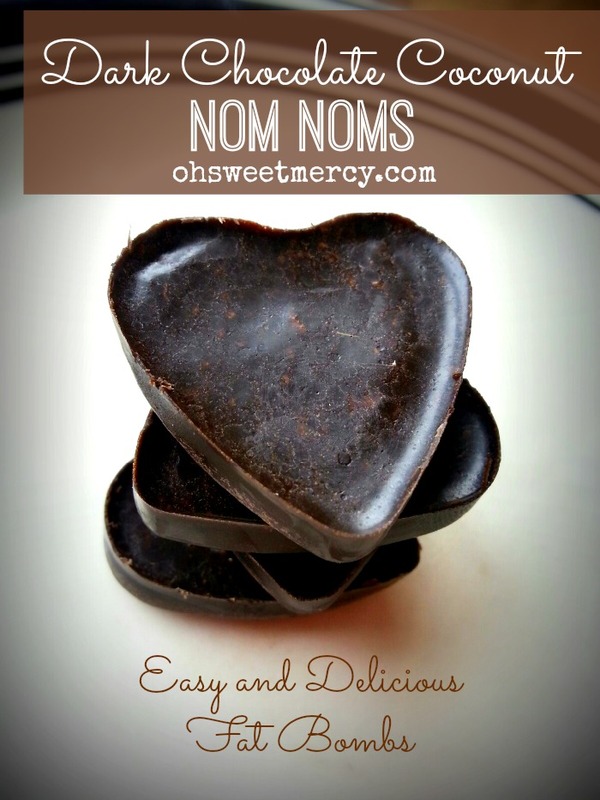 I love following your THM foods and they are so good. Thank you for working hard to make these meals THM friendly and DELISH!!!! Hmm… if you are using your smartphone that might be the problem? Keep trying please!! 🙂 You can enter with your email or by facebook! On the 14th Valentine Baby! I think your baby will be born on the 15th, my Grampa’s birthday! Wishing you luck on your Valentine baby. I was a maternity nurse for 34 years. You got this! Wishing you a smooth sailing labor. Breathe & relax & use essential oils. I think she will be born the 10th! How about a Valentine’s Day baby?? I’m guessing the 14th. Best wishes! The 10th popped into my mind for some reason! I think it will be the 13th! I think the baby will be born on Monday, February 15. Congrats have a wonderful and easy birth. Thank you so much for this toundvup and your giveaways!